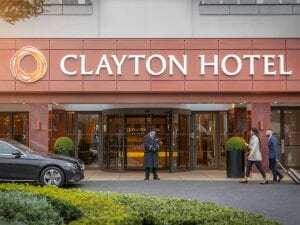 Clayton Hotel Burlington Road is located on Upper Leeson Street, just minutes from the city centre in the attractive southside of Dublin. Our location offers easy access to many popular attractions and convenient transport connections to all areas of this great city. Getting to Dublin has never been easier! Dublin International Airport now welcomes 56 airlines flying from 195 destinations in 42 countries including direct flights from Europe, USA, Canada, the Middle East, China and Russia. The hotel is located south of the Grand Canal on Sussex Road (off Upper Leeson Street) in Dublin 4. For detailed driving directions to Clayton Hotel Burlington Road please visit the AA Routeplanner. The Aircoach and Dublin Bus routes 7B, 7D, 11, 46a, 116 and 145 stop directly outside the hotel and the Luas Green Line (tram) stops nearby at Charlemont linking to St Stephens Green, Dundrum, Sandyford and Cherrywood business parks. For detailed Public Transport information please visit the Transport for Ireland Journey Planner. Option 1: Aircoach departs up to every 15 minutes and stops outside our front door. Journey time both to and from the airport is approximately 30 minutes. On-site parking is available for resident guests and visitors which is operated on a first come, first served basis. The hourly rate for visitor parking is €3. Hotel residents can avail of the special overnight rate of €13 per night per vehicle.